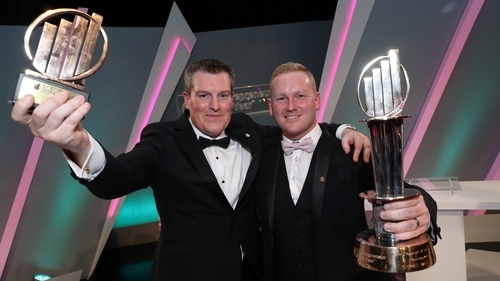 The founders of Cork-based Teamwork.com, Daniel Mackey and Peter Coppinger, have been named EY Entrepreneurs of the Year. The business-focused software company has been in operation for over ten years and today boasts 22,000 paying customers - including Disney, Netflix and Spotify. Its main product is in project management - which is an extremely competitive market - but co-founder Daniel Mackey says its focus on what the user wants has helped it to compete with big players like Microsoft. "When we initially built the software we built it for ourselves - we were our first customer," he said. "We understand how teams work, so we built that into the product. We also, very deliberately, listened to customer feedback and built some of the ideas and some of the requirements our customers needed into our software, and it seemed to have worked," he added. Along with winning the overall EoY title, Teamwork.com's founders also won in the international category, given the scale of their overseas operations. Mr Mackey said that things have not changed considerably for them in light of Brexit and trade concerns, with the company keenly focused on North American expansion. "I'd say 90% of our business is focused around Canada and North America," he said. "We've already opened up a Boston office and we're going to expand our operations and field sales from that office next year. "Our second biggest office is up in Belfast - it's a great place for us to find technical talent and also we're going to move some of our customer support agents up there as well," Mr Mackey said. That expansion in Belfast is little to do with Brexit, he said, but more to do with the availability of talent in the city. This year Teamwork.com is forecasting revenues of $25m, but the team hopes to double that in the next three years - with an ultimate target of becoming a billion dollar company. Mr Mackey said that will involve a considerable ramping up of its operations - including a significant increase in its overall headcount. "We're going to require ten products in our suite and those ten products need to work tightly together," he said. "We're going to need three times the level of staff that we have right now - so we're going to be looking at maybe 700-800 staff; and we're going to need boots on the ground in North America," he said. MORNING BRIEFS - AIB's CEO Bernard Byrne is to step down next year after almost four years in the role, the bank has announced. AIB chairman Richard Pym said Byrne would stay in the role into 2019, while they searched for a successor, after which he would pursue an external opportunity. Minister for Finance Pascal Donohoe wished Mr Byrne the best, and said he can be proud of the changes he introduced in the bank that has helped return it to a stronger financial position. The announcement came as AIB reported a positive third quarter - with net lending up €0.5 billion and non-performing loans down €3 billion compared to the end of last year. *** Aer Lingus owner IAG has also announced quarterly results, with pre-tax profit up 12.4% in the three months to the end of September. The airline group, which also owns British Airways and Iberia, saw costs rise at a faster pace than revenue - but it spent less on exceptional items in the period. *** Both Amazon and Google-owner Alphabet posted disappointing results overnight - prompting shares in both companies to fall in aftermarket trading. Amazon has forecast growth of 1-20% over the key Christmas period - compared to a rate of 29% in the last quarter. Meanwhile Alphabet reported revenues of $33.7 billion - slightly lower than had been expected by markets.